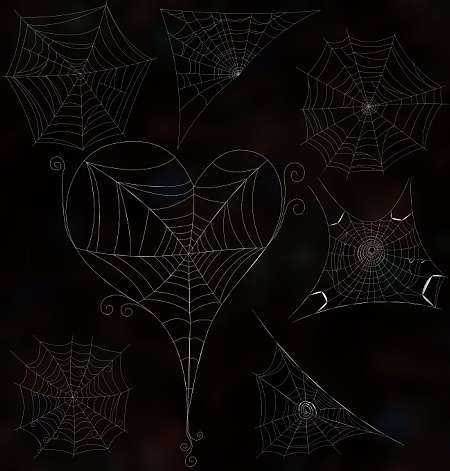 Delightful cobweb graphics to add a Goth chill to your Halloween, horror, and Goth scenes. 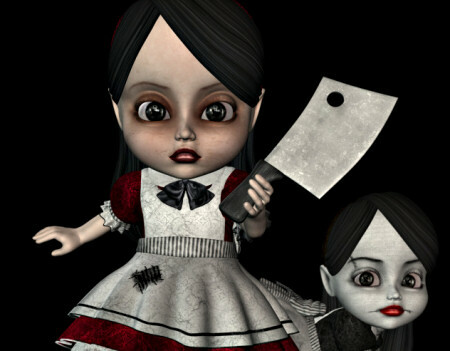 A creepy Little Goth Doll to haunt your artwork and inspire goosebumps. An ethnic version, along with a Goth seamless tile, is included in this package. 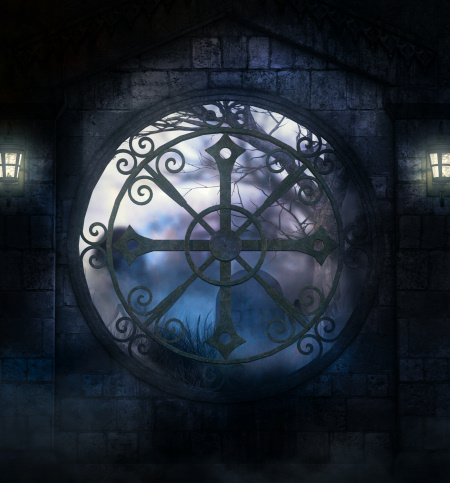 Creepy Goth backgrounds and props for your dark fantasy, Halloween, and horror designs. 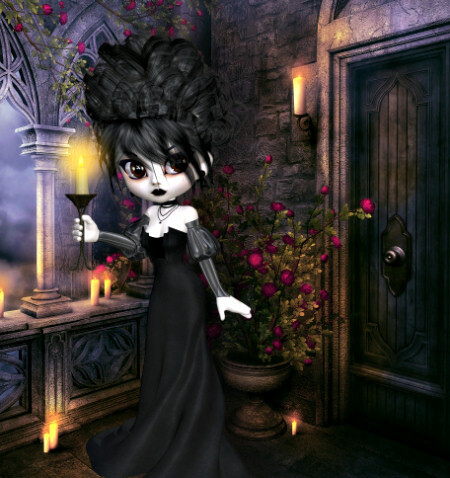 Goth Bride Tubes, bride graphics for your wedding, Goth, anniversary, or other special occasion designs. 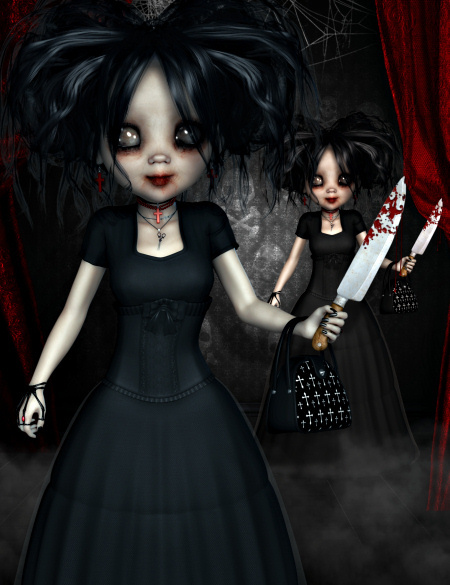 Scary Goth Doll Tubes, Goth doll graphics that are steeped in darkness for your designs. Gothic Rag Doll Tubes. Dare to Go Goth this Halloween with this collection of Gothic Rag Dolls. Cute Goth graphics. These adorable goths wear flowing velvet gowns. Make your designs stand out. 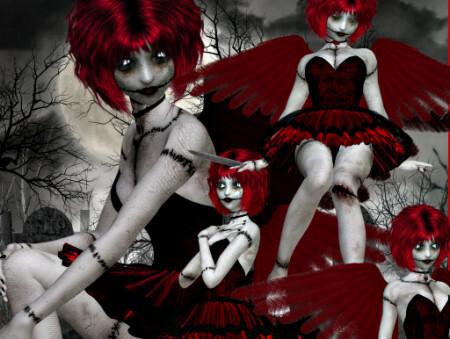 Creepy Goth doll graphics, unforgettable and dark, for your Goth artwork. A Goth girl and her adorable teddy bear. Little Goth Graphics, spooky little Goths for your horror art scene. These little Goths are cute but sinister. Beware as some have axes.